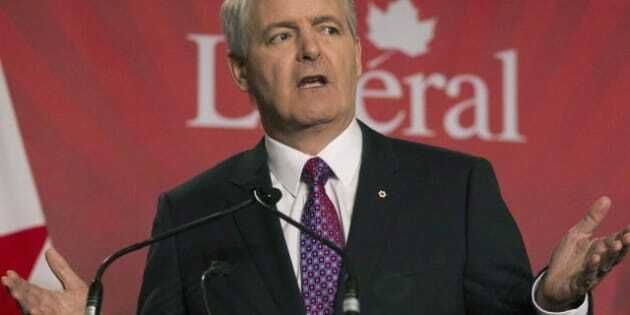 Canada’s plethora of natural resources make it “the luckiest country on earth,” but also a lazy nation that has neglected to diversify its economy, says Liberal leadership candidate Marc Garneau. “I think having all those natural resources makes us a bit lazy in this country,” the former astronaut told the Huffington Post Canada’s editorial board in a meeting Friday. Garneau said that given the chance, his government would emphasize development of a knowledge-based economy by encouraging investment in start-ups and through research and development initiatives. That focus on science, technology and education would foster productivity increases and growth, he believes. “If we put all of our eggs in one basket with our natural resources and prices, and commodity prices fluctuate, we end up with some unfortunate circumstances and that’s what’s happening at the moment and it’s going to continue to happen,” he said. A supply glut of crude from Alberta’s oil sands in North America has contributed to a deep discount on its market price. That has led to big headaches for oil producers and even the Alberta government, which had baked higher crude prices into its budget projections. Garneau pointed to Alberta as an example of the perils of relying too much on one sector for growth, especially one so subject to price fluctuations. The province unveiled a projected shortfall of $6.3 billion for the 2013-2014 fiscal year last week as it grapples with both a decline in revenue due to falling oil prices and the need to spend on a growing population. Alberta is now “talking about deficits because they perhaps overestimated the value of a barrel of oil in their projections and it’s not coming in that way,” Garneau said. Amid signs of a sluggish economy and projections it will stagnate for years, Garneau suggested the key to economic growth is driving investment in the private sector. He believes research and development spending are the key to a sustainable economy and said it’s the private sector that needs to do more. Development of a knowledge economy has been a mainstay in Garneau’s platform since he began campaigning for the position of head of the Liberal party. Specifics include introducing measures such as a capital gains tax exemption for so-called “angel investors” who invest in Canadian start-ups, as well as a tax break for employers who invest in training for their employees. Prime Minister Stephen Harper announced in January a plan to provide $400 million in venture capital to shore up investor interest in providing start-ups with the funds for new ventures. But Garneau said government funding is the wrong way to develop a healthy venture market, suggesting instead that investment is the private sector’s responsibility. “I think the private sector is best able to decide where it’s going to put its money,” he said. The problem is that businesses have been reluctant to invest, preferring instead to sit on their hoards of cash as they wait for the economy to improve. And indications suggest they’re not prepared to release that cash any time soon. “The penny’s got to drop in the private sector that unless you upgrade your plant machinery, unless you invest in the training of your employees … then it’s going to be more difficult for you to continue to remain competitive,” Garneau said. Canada has smart people with good ideas, but the challenge is turning those ideas into commercial success. Garneau encourages nothing short of a cultural shift compelling Canadians to be more tolerant of risk. “How does one get Canadians to hustle more when we are we're the luckiest country on earth?” he asked.